As you know, I love collecting items that I find on my various rubbish removal jobs. I live trash. I breathe trash. And I try to transform trash into something of value. But sometimes, even I know that the job isn’t about the trash. Sometimes, it’s about the people, the experience and the story behind the items I’ve found. 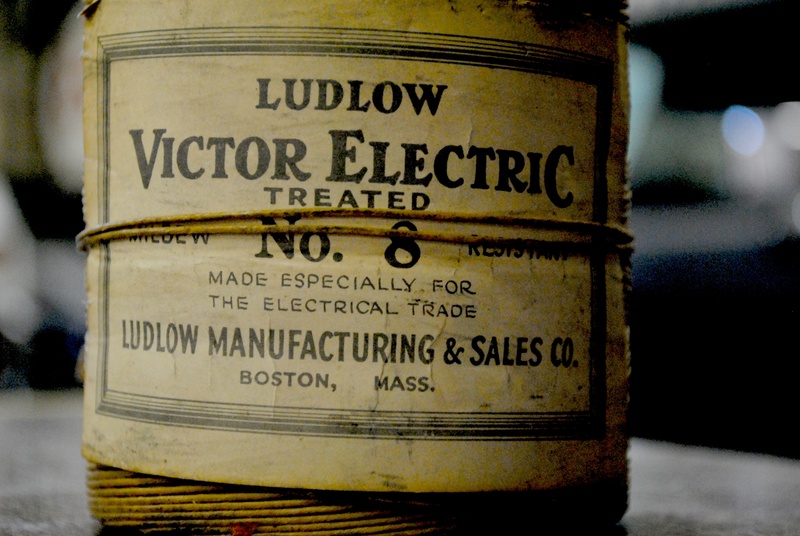 In this particular cellar cleanout, I felt incredibly lucky to have found this Ludlow Victor Electric wire, but I felt even luckier to get to know its original owner. 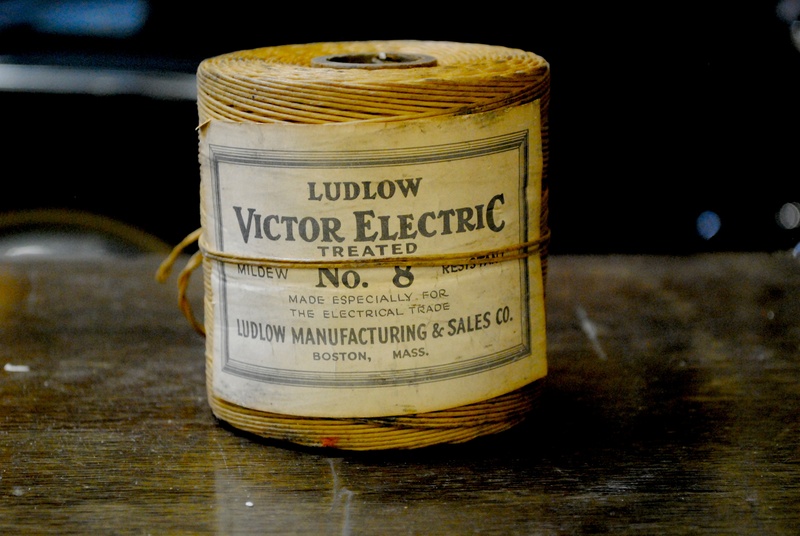 First of all, this Ludlow Victor Electric wire is vintage radio tuning wire that was used for repairs. It was used to wind up the tuner on a radio, and if the tuner happened to break, this cable would run across a wheel that causes the little red tuning dial to go back and forth. The original owner of this item was a retired radio technician. I never met him, because he died before I came in to do this job. He had been sick for sometime, his wife told me. About a year ago, I was supposed to do the job while he was still alive, but his wife postponed it because she knew he didn’t have long to live. A few weeks later, when I showed up for the job, she informed me that he had passed away. The funeral had been recent. In her arms, she carried a few dozen roses. She gave them to my workers and me to give to our wives. The woman, who looked to be around 90 years old, wasn’t planning on selling the house, but she knew that, eventually, she’d probably end up leaving it for a nursing home. She wanted to get rid of any items that were no longer wanted so that she didn’t leave her kids with the burden having to hire someone to come get them later on. I only knew this woman for a short time. After all, she hired me to do a job. I did it, and that was it. But she definitely left a strong impression. Another successful day at the office! ~ by DiMolaBros1956 on September 8, 2011. You have to watch Buried Treasure on Wednesday night 8pm channel 4. It has the Keno twins from Antiques Roadshow going to homes looking for “buried Treasures.” They appraise them, and then buy them…the money goes to the owners.